My Chelsea bun recipe requires you to make an enriched dough (meaning that it has milk, sugar, butter and/or oil in the recipe). 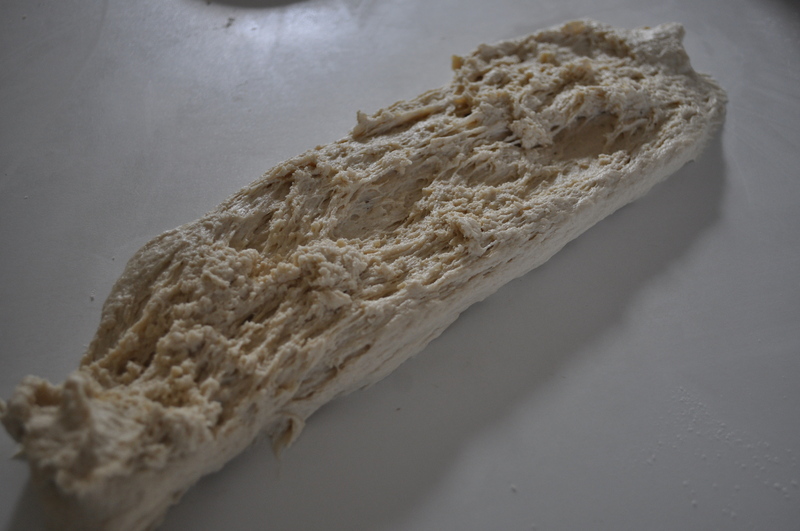 The process is identical to making a standard dough, however the dough is wetter. I have a plastic dough scraper/cutter that I use to help me stop the dough from sticking to the work-surface – it is a handy little tool but not absolutely necessary. Do not be put off by the number of steps there are in this recipe, making Chelsea buns is very straightforward and is very worthwhile. 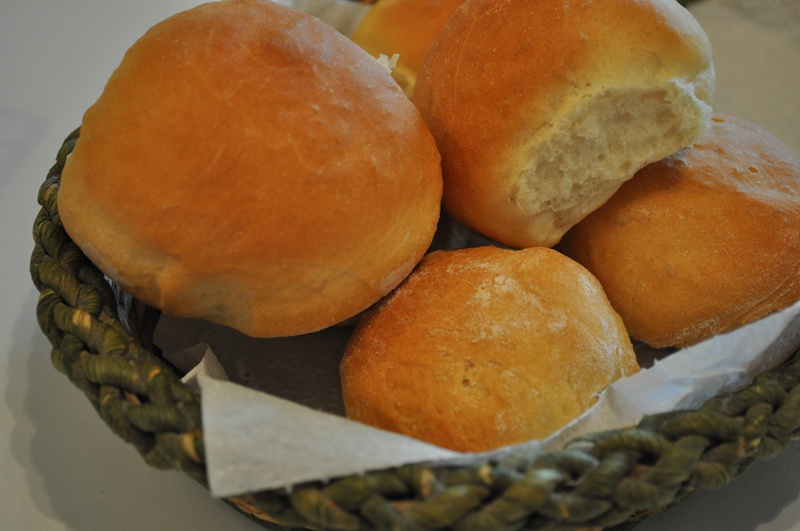 The buns are light and fluffy and have a lovely sharp zing from the marmalade. By soaking the sultanas in boiling water they become much juicier and they stay plump even after cooking. Place the flour, salt, and sugar in a large bowl and mix together. Place the yeast in a bowl, add the milk, butter and eggs and mix together well. Add the wet mix into the dry mix and combine using your fingers. The dough will be fairly wet. Place the dough on a floured surface and knead for about 10 minutes. 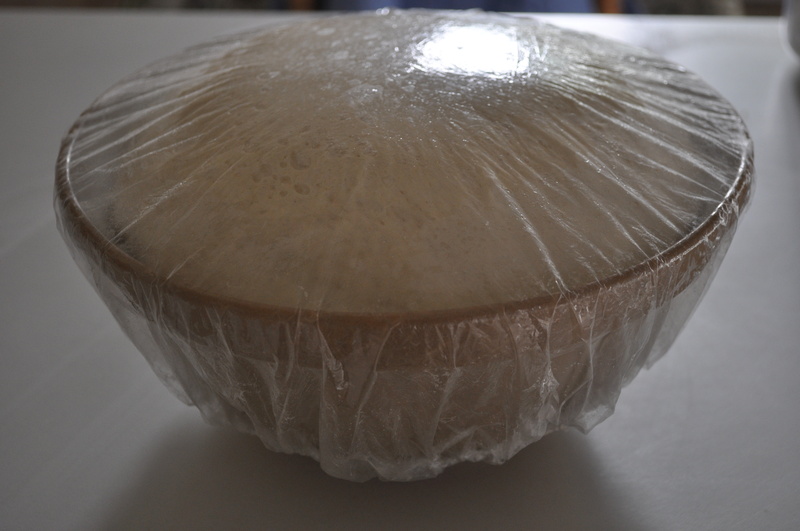 Place the dough into a bowl, cover with cling film and leave to rise for about 2 – 2½ hours (until it has doubled in size). Knock the air out of the dough, place on a floured surface and flatten into a square shape. Brush the dough with the melted butter, scatter over the sugar, mixed peel and sultanas. Roll the dough up into a long cylinder shape then, cut into 12 equal-sized pieces. Place the pieces in a greased and floured tin, then leave to rise until they have doubled in size. Once they have risen, bake in an oven at 180C fan for 15-16 minutes, turning the oven down to 160C fan after 8-9 minutes. Remove from the oven and place the buns on a cooling rack. and heat until the sugar has dissolved and you have a syrupy liquid. Brush the glaze over the buns, making sure the tops are well covered. Finally make the icing by mixing the icing sugar together with a little water until you have a smooth but slightly runny icing. Drizzle/brush the icing over the tops of the buns. This entry was posted in baking, bread, breakfast, cake, recipes, tea time and tagged baker, baking, bread, foodstagram, foodstyling, instayum, recipes, teatime on December 3, 2012 by Antonia Cooks. We don’t often eat brunch at home but when we do it normally involves an English breakfast. 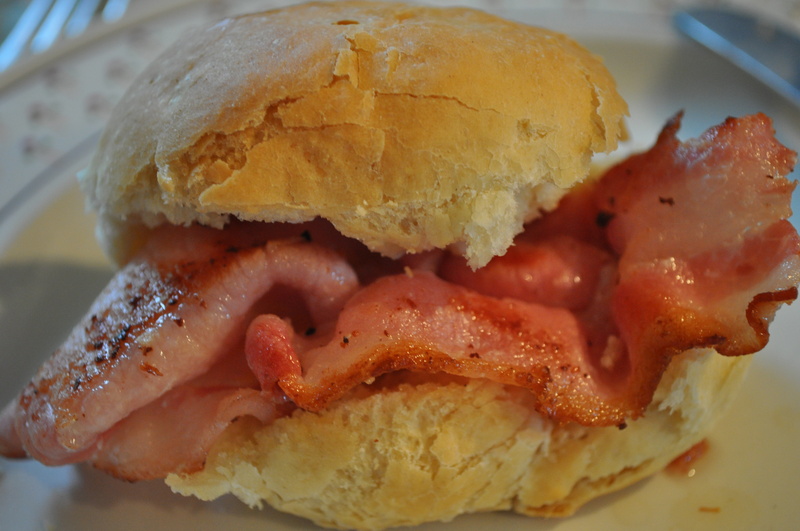 However, today as we lacked some of the vital ingredients for this so we had to settle for bacon baps (buns). Consequently, I decided to make the baps this morning as there is something quite special about having freshly cooked bread for any meal. 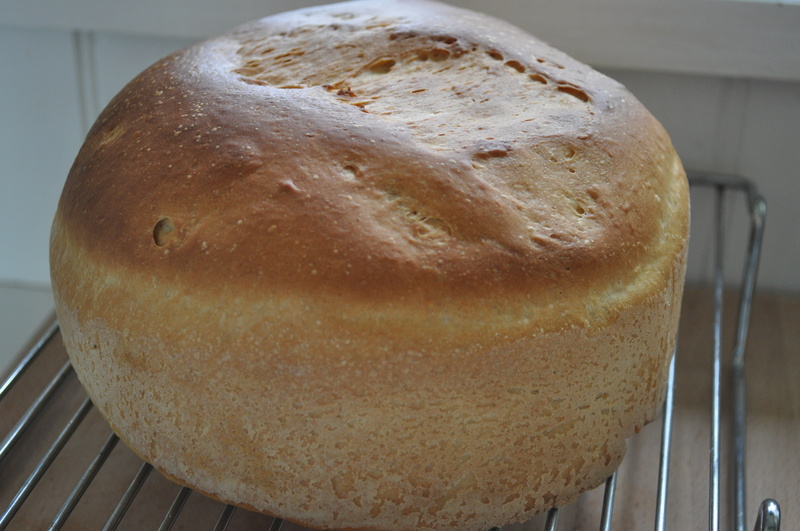 At the moment I am making bread in some form or other at least twice a week – every time I make it the process gets easier and easier and I find it incredibly relaxing. 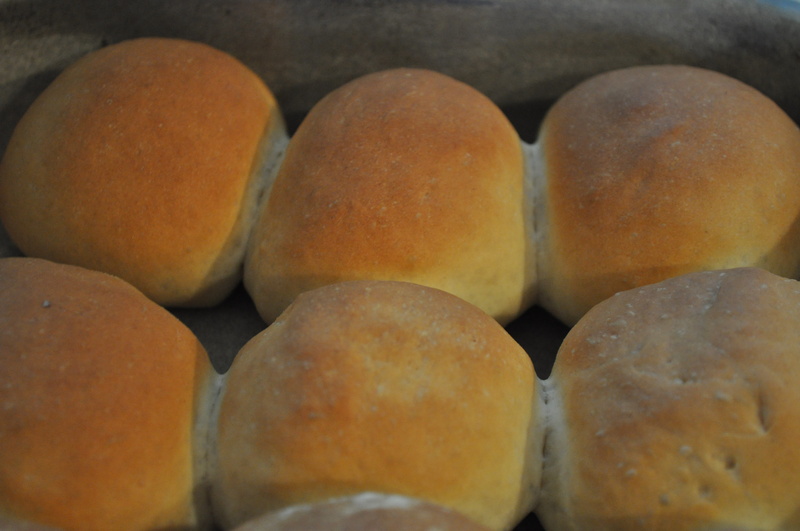 These baps are very soft both inside and out and would make great sandwiches to use in packed lunches or for picnics or for burgers at barbecues. 1. Place the flour and salt in a large bowl and mix together. 2. Place the yeast and sugar in a measuring jug and stir together until the fresh yeast is crumb like. 3. Add the milk and butter to the measuring jug and stir. 4. Pour the wet mix into the dry mix and combine using your fingers. 5. Place the dough on a floured surface and knead for a good 10 minutes (you will notice that the texture of the dough will change during this time, once you have finished kneading the dough should spring back after being pressed lightly). 6. 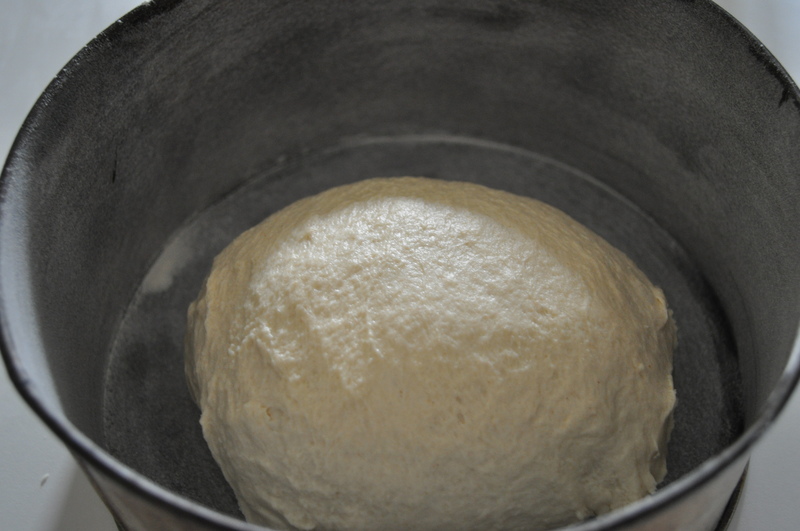 Place the dough into a bowl, cover with cling film and leave to rise for about 1 ½ – 2 hours (until it has doubled in size). 7. Knock the air out of the dough. Place the dough onto a floured surface and roll into a long sausage shape then cut into 12 equal sized pieces. Shape the pieces into small balls and placing it in an oiled and floured tin leaving it to rise for the second time for another 1 ½ – 2 hours. 8. 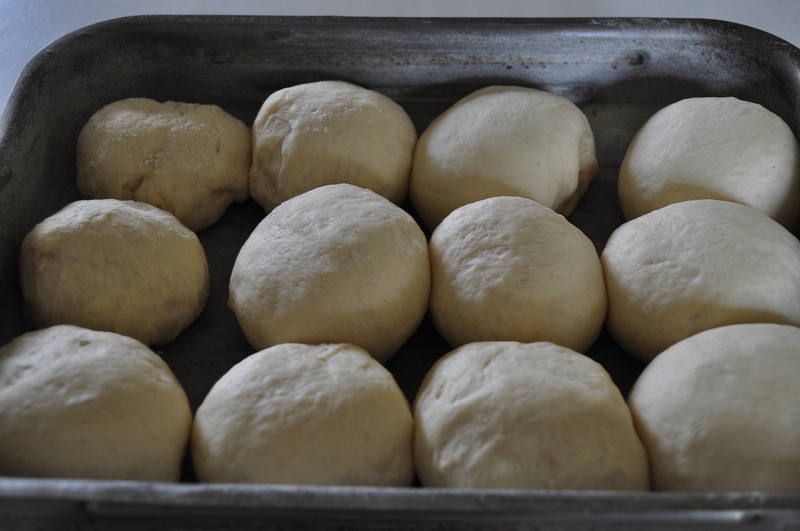 Place the dough in an oven that you have preheated to 190C fan and cook for 18-20 minutes. Turn the oven down slightly if you feel it is cooking too quickly and browning too much on the top. 9. Remove from the oven and allow to cool before eating, the baps are best stored in an airtight tin. This entry was posted in baking, bread, main meal, recipes, side dish, tea time and tagged baker, baking, baps, basics, bread, foodstagram, homecooking on November 10, 2012 by Antonia Cooks. I generally use a combination of type 55 and type 65 when I make bread because they are easy to come by as well as the cheapest to buy. The other conclusion I have reached in bread making is that whilst the majority of the flavour comes from the ingredients used, the type of oven that is used can also add to the taste. We have two boulangeries (bakeries) within a 2km radius that use wood fired ovens to bake their bread in. 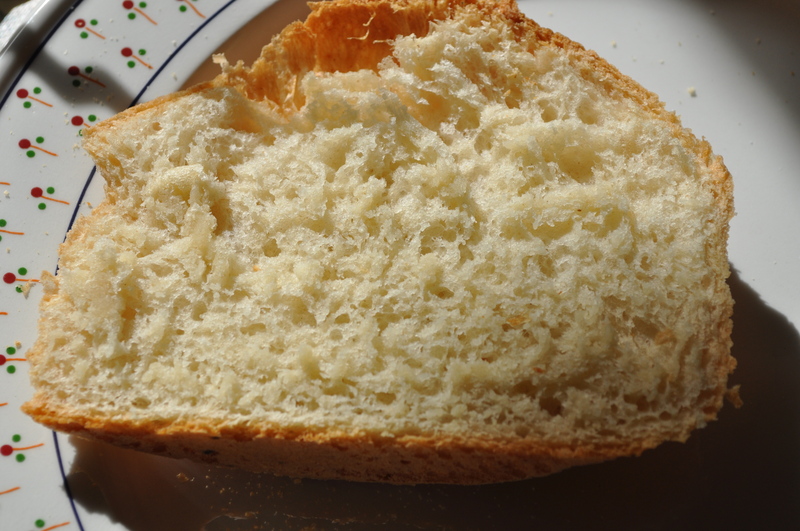 The resulting taste is quite special and gives the bread a lovely crust. I am hoping in the next couple of weeks to try and bake some bread in one of these ovens to see how it alters the taste of the bread recipe that I use. In the meantime however I have to make do with using a standard fan oven in which to bake my bread. This morning I woke up relatively early and decided to make a loaf for lunch, so around 11.30 am the house started to be filled with the gorgeous smell of bread. We enjoyed it for lunch, eating it perhaps a little too soon but the smell was just too good to resist. If you have the willpower, the bread is best eaten an hour after it is taken out of the oven when it has had time to cool down. Place the flour and salt in a large bowl and mix together. Place the yeast and sugar in a measuring jug and stir together until the fresh yeast is crumb like. Add the oil to the measuring jug and then top up with water till you have 250ml. Stir together well. Pour the wet mix into the dry mix and combine using your fingers adding a little more water at this point if it is needed. Place the dough on a floured surface and knead for a good 10 minutes, you will notice that the texture of the dough will change during this time, once you have finished kneading the dough should spring back after being pressed lightly. Place the dough into an oiled bowl, cover with cling film and leave to rise for about 1 ½ – 2 hours (a warm place is preferable). 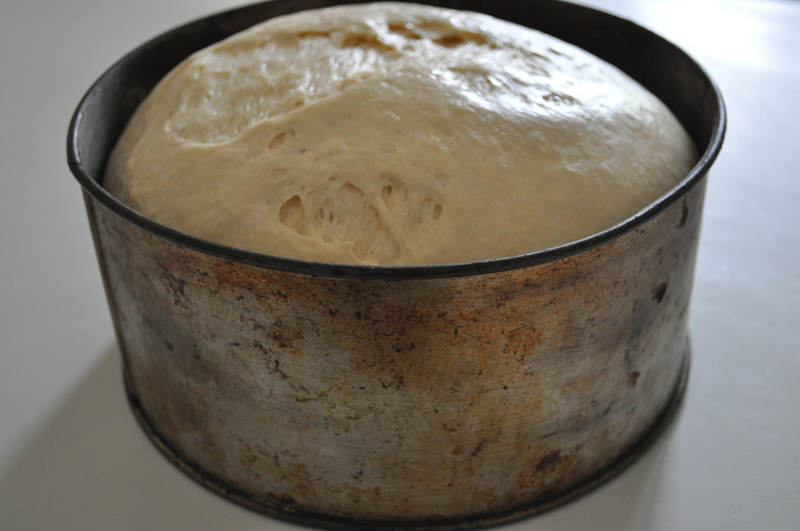 Once the dough has doubled in size, punch/knock the air out of the dough and give it one last quick knead before shaping it into a ball and placing it in an oiled and floured tin leaving it to rise for the second time for another 1 ½ – 2 hours. Place the dough in an oven that you have preheated to 220C fan – on placing the bread in the oven turn the temperature down to 200C fan and cook for 20-25 minutes. Turn the oven down slightly if you feel it is cooking too quickly and browning too much on the top. Once cooked remove from the oven and leave to cool on a rack for about an hour. This entry was posted in baking, bread, recipes, side dish, tea time and tagged baker, baking, basics, dough, foodie, homecooking, instayum, recipes on October 17, 2012 by Antonia Cooks.